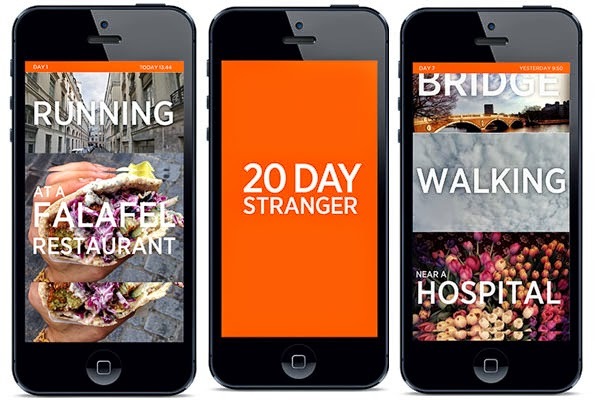 Researchers at MIT have partnered with The Dalai Lama Center for Ethics and Transformative Values to create a new mobile app called “20 Day Stranger” that allows you to have a different sense of connectedness to a wider world. It's a mobile experience that exchanges one person's experience of the world with another, while preserving anonymity on both sides. You'll never know who it is or exactly where they are, but it will reveal enough about someone to build your imagination of their life... and more broadly, the imagination of strangers everywhere. The new “20 Day Stranger” app reveals intimate, shared connections between two anonymous individuals. For 20 days, you and a stranger will experience the world in your own way, together. For 20 days, you get continuous updates about where they are, what they are doing, and eventually even how they are feeling, and them likewise about you. But you will never know who this person is. The software allows you to be connected to strangers in a way that produces empathy instead of suspicion. The app has no direct messaging but the end of the 20-day period each person has the opportunity to send one message. It could be a question, contact info to stay in touch, or just a farewell. The app is in the beta stage mainly because the developers made the conscious decision to not save any of the data, which makes development “ten times more difficult” than other apps. They are soliciting applications to test the app with 1,000 people. To sign up to be the first one to test this app visit www.20daystranger.com.